There was a time when you could go to the mall and buy teeny-tiny red-eared sliders from a kiosk. They came with their own teeny-tiny plastic dishes, teeny-tiny plastic islands, and even teeny-tiny plastic palm trees. The kiosk employee even guaranteed the turtle to stay teen-tiny and reassured anyone interested in the cute reptile that it was incredibly easy to care for and a great gift for a child. This was, unfortunately, all a lie. Thankfully, due to law changes, these poor guys haven't been openly sold in malls for years. Those turtles more than likely didn’t receive the proper care and housing and probably died prematurely. Red-eared sliders make great pets but they don’t stay teeny-tiny and they need more than just a little dish to live in. 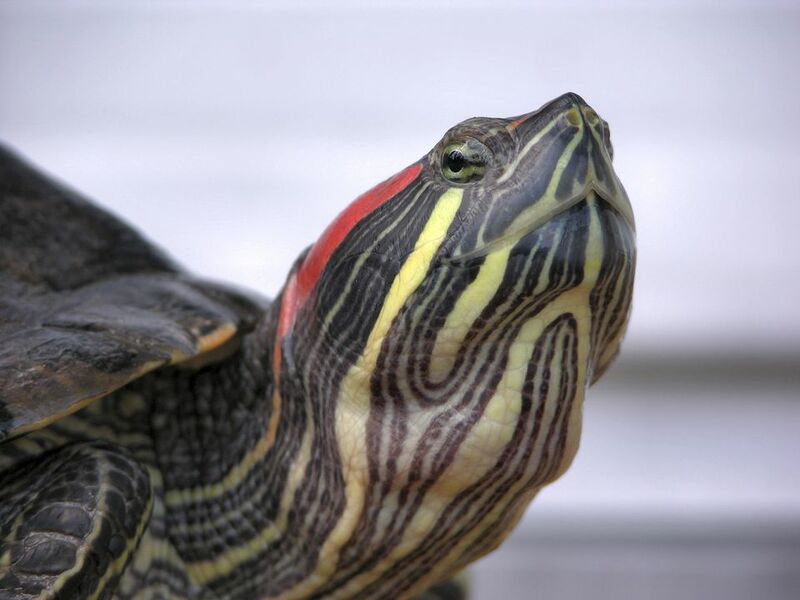 Red-eared sliders can grow up to 12 inches in length. This means a small plastic enclosure will not provide enough room for a full-grown slider. Males stay smaller than females but they still grow to be seven to nine inches long. A glass aquarium is better for a red-eared slider than a plastic house for a number of reasons. First, if you put a heat lamp and a UVB bulb on a plastic enclosure it will melt it. Second, glass doesn’t scratch like most plastic houses. Your turtle will claw at the sides of the house and will scratch up the plastic, making it look cloudy and dirty. If you want to use a plastic house, make sure the lid is made of a metal mesh and the house is a thick plastic, able to withstand the heat bulbs. Your turtle needs a tank 4 to 5 times as long as his carapace. If your turtle is 12 inches long, multiply 12 by 4 or 5 and his tank should be 48 to 60 inches long. For the depth, multiply by 2. Having said all this, a full grown female 12-inch slider really needs a 100-gallon tank—much larger than the majority of turtle owners have. Smaller tanks will get dirtier faster and leftover food will also add to the mess. Be generous with your turtle tank size, get a good filter, and scoop out any uneaten food to keep your tank as clean as you can. Dirty water can lead to shell and skin infections as well as ear abscesses.